7.7 x 6.8 x 2.4 cm. Two wonderful, doubly-terminated quartzes infused with vibrant, intense, robust golden crystals of rutile. This is an unusually high quality rutilated quartz specimen, and the gist is not conveyed as well in the photo as I would wish. It is really much more impressive in person. 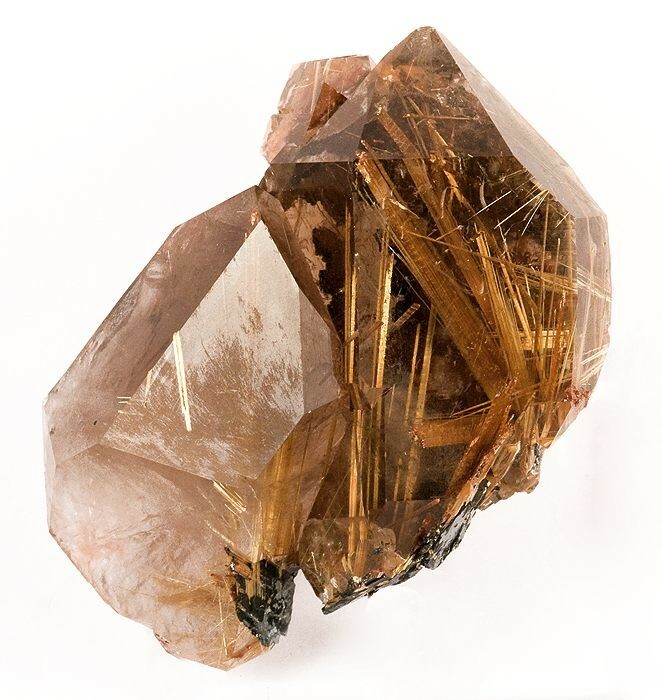 The quality of the quartz and the rutile is both high - and clusters are very uncommon.